First off I want to tell you guys how amazing Jewel looks on the cover!And I have to mention, in the beginning - it’s a tear jerker - especially if you listen to the audible version of the book - which I did. I picked Jewel’s book to review - well actually I don’t make a book review judgment until after I’ve finished reading but I had a hunch I was going to get into it. Anyway, a few weeks ago I was listening to the James Altucher Show podcast ( you know I love him) I’ll get into that later and he was interviewing Jewel. I was like WHATTT! I knew a little bit about her background but just the basic stuff like her being from Alaska and having somewhat of a challenging childhood but I had no idea - and you don’t either unless you’ve read this book. There were so many prolific moments of this book. I made a list of quotes from the book to share with you because they were just like WOW! "You don’t out live pain." "the white girls guide to being an underdog"
"Human full of holes or a whole human"
Jewel has definitely done a tremendous amount of self-reflection and deep inner work to get where she is with herself today - separate from music. I feel like music was her vehicle to evolve emotionally and physically from the experience and family history she came from but I don’t like to project onto others what “I” think their life journey is about. I am just extremely impressed and have a lot of admiration and respect for her progress. I think I related to the book most because we actually have a lot in common. Our first names are the same! Yes, my first name is “Juel”! I also had some very challenging times in my childhood very, very similar to Jewel’s and it’s always refreshing to hear someone else talk about these experiences and have such a balanced perspective on things. On one side there were these terrible things that happened but on the other side, there was this fairytale experience. I think Jewel really showed the contrast of the struggle with her parents and the uniqueness of growing up in Alaska as a homesteader at that particular time and with her specific lineage. Never Broken is definitely a book or audible you should pick up whether you're a fan of Jewel or not. I personally went for the Audible version after hearing her interview with James. Her speaking voice is just as soothing as her singing voice. Also in the Audible version, she sings several of her lyrics. Very nice touch! 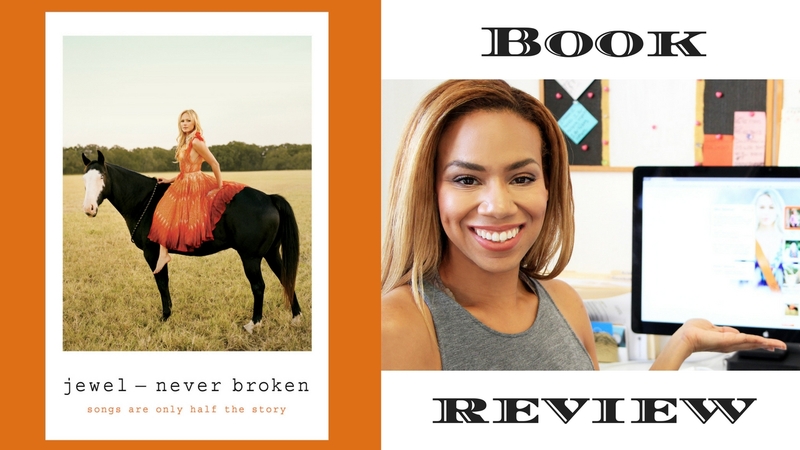 Before I wrap up this review, I wanted to recite one last quote from Never Broken I think we all need to keep on file. "We are often too quick to write our friends off when their choices don't fit into our mental models of what we think they should be doing or how they should be acting."